The Transylvanian Experimental Neuroscience Summer School (TENSS) grew from an idea shared between Florin Albeanu and Raul Mureşan during a conference in Romania in 2010. 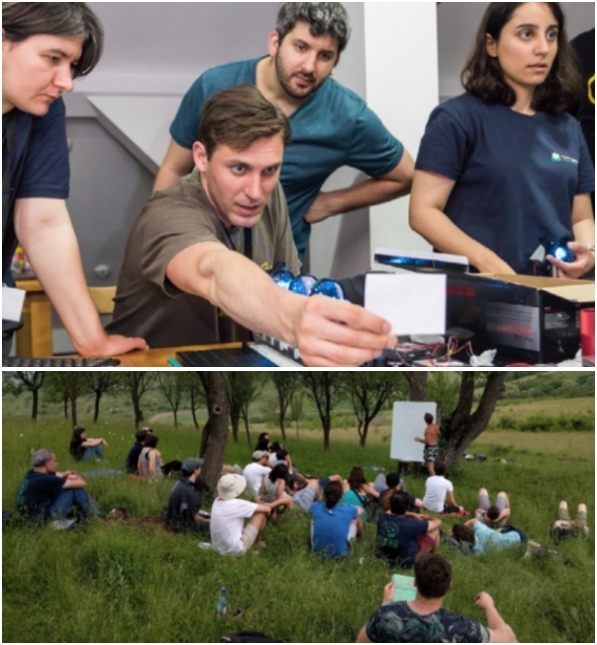 Two years later, the first TENSS took place on the shores of Pike Lake in the picturesque province of Transylvania, Romania.The main objective of TENSS is to provide students from across the globe with hands-on training in experimental neuroscience techniques from leaders in the field. The course is kept small to allow participants maximum individual access to laboratory equipment and full exposure to the various techniques taught. In 2016, thirteen student participants were selected from 120 applicants from the USA and Europe, as well as from developing regions in South America, Eastern Europe and Asia, with fee waivers and/or travel grants provided to students with limited finances. The summer school took place over three weeks with an intensive timetable, but there was still time to visit the local medieval village, swim and socialise. On one memorable day, a lecture on lasers was given on a hilltop during an informal barbecue. Students attended course lectures and crucial laboratory sessions on modern optical, optogenetic and electrophysiological recording techniques, built custom electronic circuits and designed custom software. The complex equipment required for TENSS means that the costs of running the school are high, but thanks to funding from The Company of Biologists, TENSS was able to make experimental neuroscience more accessible to young scientists and provides them with a unique opportunity to interact with experts in the field.